The RAD Lab » Apply. To apply for a position in the Robotics, Automation, and Dance (RAD) Lab, please write an essay describing your specific interests and how they overlap activities going on in the lab. This means you need to research activities in the lab by studying this website, reading our publications, and researching the field more broadly. You also need to be similarly specific about your own background. What experiences have led you to have an interest in robotics research? Why would you be a good fit for the unusual approach taken in the RAD Lab? For example, if you have experience in formal movement training, have completed prior research in robotics, please discuss how this experience shapes your interest in my group. I accept a few students a semester (Fall/Spring) to complete an independent study (ME 297/497) as well as hire students over the summer as interns. These are the best ways to get involved in my group as an undergraduate — and many stay on and work after these initial experiences. I recommend beginning with ME 597, an independent study course, to see if my lab is a good fit for you. Once you have been admitted to UIUC, you can apply for this course. 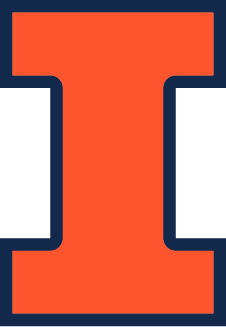 Students who are able to articulate exceedingly good reasons for studying in my group may be offered an RA with admission to UIUC. In almost every such case, these students have extensive training in movement, e.g., dance, martial arts, or similar, and are prepared to bring that training to bear on their graduate degree. © 2019 The RAD Lab. All images are copyrighted by their respective authors.